Reon Revive is designed to wake people up with an energy-boosting supplement powder shot that contains 80 mg of caffeine and 50 percent of your B12 RDA. Sleep-deprived Americans cost the economy about $411 billion annually, but Reon Revive, a fast-melting supplement powder shot, is trying to give people an energy boost when they don’t get their zzzzzs. Being tired on the job is costly. It can also be dangerous especially if you are driving tired. Drowsy driving was responsible for 72,000 crashes, 44,000 injuries and 800 deaths in 2013. One of the ways to stay alert, according to the Sleep Foundation, is to take caffeine. If you don’t like coffee or there isn’t a coffee shop nearby, try Reon Revive, which is now available on Amazon. Reon Revive is designed to wake people up with an energy-boosting supplement powder shot that contains 80 mg of caffeine and 50 percent of your B12 RDA. Just tear, pour and go. It is not just businesses that are suffering from people being tired. The sleep-deprived are harming their health as well, according to the Centers for Disease Control and Prevention. More than 33 percent of all Americans are not getting their seven to eight hours every night. Sleep apnea also affects about 22 million Americans, the overwhelming majority of whom don’t even know they have it. Just take a few ready-to-use sachets with you every day. They fit in your pocket, briefcase or purse. When you feel in need of an energy boost, take one out, tear it open and pour it into your mouth. Within seconds the instant melt powder dissolves on your tongue and energy is on the way. Reon Revive, which is now available on Amazon, is sugar free, gluten free, vegan friendly and certified by Informed Sport for use by professional athletes. For more information about Reon Revive, visit tryreon.com and follow them on Facebook, Twitter and Instagram. The largest dedicated food and beverage (F&B) trade show in the region, THAIFEX-World of Food Asia, is set to return for its 16th edition. To be held from 28 May to 01 June 2019, at the IMPACT Muang Thong Thani in Bangkok, Thailand, the trade show will feature brand new programs and experiences to equip visitors for the future of the industry, along with enhanced buyer programs and VIP services to further strengthen the show’s focus on quality business and trade. According to recent research by Euromonitor International, disposable incomes in the Asia Pacific (APAC) region are projected to grow by 78.0% (in real terms) over the 2017–2030 period, spurring an explosion of growth in the middle class (source) and a surge in demand for modern products and services – including F&B. In fact, APAC is set to become the largest consumer of F&B by 2030, creating a huge market potential for established businesses and start-ups in the industry. Against this backdrop of opportunity, THAIFEX-World of Food Asia provides a gateway for international businesses keen on entering the region, and a springboard for Asian companies to expand to the rest of the world with its strategic location in Thailand. As a sign of renewed commitment to facilitating quality business and trade, THAIFEX-World of Food Asia 2019 will feature an enhanced Hosted Buyer Program. Hosted buyers will be able to access an online business matching platform from the end of April onwards to target and pre-arrange business appointments with around 2,700 exhibitors during the trade show, ensuring that each meeting is productive and meaningful for both parties. “Business has always been, and continues to be, a huge priority for THAIFEX-World of Food Asia. Through the new online business matching platform and enhancements to the Hosted Buyer Program, we want to optimize the trade show environment to make it conducive for exhibitors and buyers to strike deals with one another,” said Mathias Kuepper, Managing Director of Koelnmesse Pte Ltd. In addition to an optimized business matching platform, improved VIP guest services will cater to the administrative and logistical needs of top buyers and visitors to create the best trade show experience. A new THAIFEXclusive Membership Card will be introduced to provide members with special discounts for THAIFEX conferences and at F&B outlets within the IMPACT Exhibition Center, along with access to the THAIFEXclusive Club which has been expanded to accommodate more business meetings. VIPs will receive complimentary luggage delivery and storage (limited to 1 piece per person) to provide greater convenience. “With the sheer number of exhibitors present at a trade show like THAIFEX-World of Food Asia, the ability for buyers like ourselves to select and arrange business meetings with specific companies ahead of time really helps us to cut through the noise and connect with the right products and services to take our business to the next level,” said Mariana Sudarma, Merchandising Manager of PT. Swalayan Sukses Abadi, The Food Hall. Apart from VIP-specific services, new guest services will be introduced to create a more seamless and hassle-free trade show experience for all. Self-check-in systems and self-print counters will be set up to shorten the time required for registration. Free river taxi rides from IMPACT Muang Thong Thani (requires pre-registration) will provide an alternative and reliable mode of transport connecting visitors to Bangkok city center within an hour. Paid luggage delivery services to and from the airport will also be available upon request. Put together, these services will alleviate administrative burdens on guests and provide levels of convenience and flexibility. To immerse visitors in the future of the F&B industry, this year will see the unveiling of a new program – THAIFEXfuture Food Experience+. The new special show will feature engaging talk shows and interactive product demonstrations presenting specially curated content on revolutionary technology, products and designs from the F&B segment covering the following four themes: Food and Nutrition Trends, Business Operations, Beverage Innovation, and Technology and the Food Experience. Housed under this program is the inaugural THAIFEX Startup pavilion which brings together the best young and innovative companies showcasing new innovative solutions including drone F&B delivery to augment and improve food service and the customer experience. The show organizers will also introduce THAIFEX Tech Pavilion, a platform created to showcase the best of new food technology ideas and solutions. These include cloud-based vending management systems, cloud-based POS and restaurant management systems, robotic customizable solutions, and innovative food delivery applications. For the first time in the show’s history, the Thailand Food Innovation Forum will be collaborating with the flagship knowledge conference, innofood Asia Conference, to launch the groundbreaking Leadership in Food Innovation Conference Series. The series will present ideas and solutions that are transforming the way people view and interact with food, sparking discussion and knowledge exchange to take industry players forward in the process. “Through the public-private partnership between the show organizers, we are able to integrate our well-established Thailand Food Innovation Forum with the innofood Asia Conference to facilitate greater knowledge sharing, and create more value for visitors and industry players at THAIFEX-World of Food Asia 2019,” said Kalin Sarasin, Chairman of The Thai Chamber of Commerce. The revamped THAIFEXtaste Innovation Show will also feature a curation of the top innovative products submitted by regional and international companies across each of the 11 trade shows and special shows. These top products are picked based on criteria ranging from uniqueness in taste, packaging, type of ingredients and overall presentation. The internationally acclaimed Thailand Ultimate Chef Challenge (TUCC) will also return for its 8th edition, and feature a new focus on Asian Cuisine for this year. Contestants will be able to choose their competing classes, based on their personal forte, out of 23 exclusive competing classes. New classes designed for the next challenge include the “Asian Gourmet Challenge” and the “AEC Culinary Challenge”. As testament to the international reputation of the show, this year marks the third time THAIFEX-World of Food Asia will be hosting the Qualifying Final Asia round of the Global Chef Challenge (GCC). 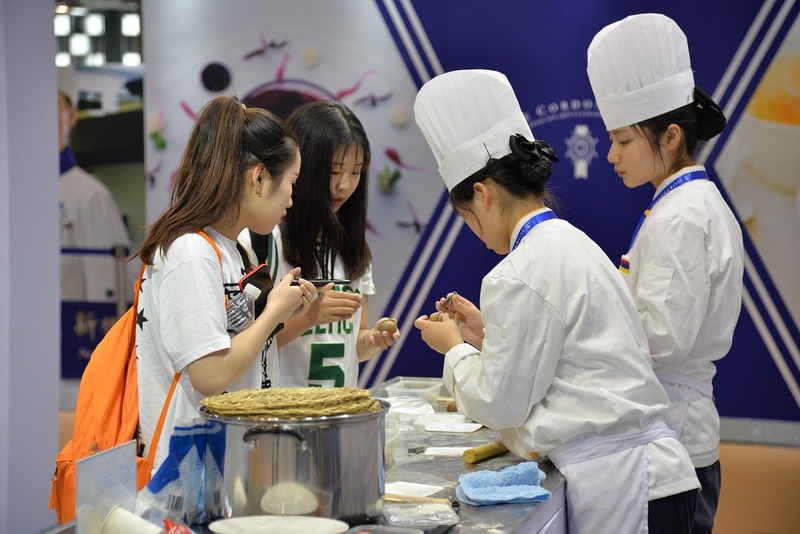 Finalists will compete for the chance to represent their countries for the three categories: the “Global Chefs Challenge”, the “Global Chef Pastry Challenge”, and the “Global Young Chefs Challenge – The Hans Bueschkens Trophy”. Undergirding the fresh supporting programs are the 11 core trade shows which have, over the years, become the centerpiece of THAIFEX-World of Food Asia. Altogether, the trade show will see the participation of around 2,700 exhibitors from across more than 40 countries with new country entrants for the year, including Australia (AUGVEG), Brazil, Columbia, Poland, Spain, Sri Lanka, and the United States. This year marks a special edition of THAIFEX-World of Food Asia with the host country, Thailand, currently heading the ASEAN Chairmanship. As part of THAIFEX–World of Food Asia 2019, DITP will also be bringing in several entrepreneurs who have developed innovative products and creative solutions in response to the latest future trends in S-Curve industry, particularly, food for the future. MegaFood®, an award-winning maker of premium vitamins and supplements crafted with real food and added nutrients, today announced it will introduce a comprehensive Healthy Farm Standard aimed at improving our agricultural system by building carbon rich soil and increasing the nutrient density of food. At its core, MegaFood is out to change the world starting with food and in doing so, works with like-minded farmers who advocate for organic and regenerative farming. Farmers are often the interface between planet and people, and while they have the greatest opportunity to bring this change, they also carry much of the burden. This new open standard will help farmers track and improve outcomes and reach new goals to ultimately replenish our soil with the nutrients it needs so that we can replenish our bodies with the nutrients we need. Building the Soil—Consists of measuring soil health and soil nutrients along with insights on pest management practices. Conserving Resources—Includes water conservation and water pollution, as well as the ability and intention to reduce fossil fuels and increase biodiversity. Supporting Thriving Livelihoods—Addresses farm management, thriving workers, and nutritional access. MegaFood is committed to improving lives through food. This new Healthy Farm Standard works to improve our agricultural system by building carbon rich soil and increasing the nutrient density of food. The Healthy Farm Standard represents the company’s latest move to cultivate a community of suppliers and like-minded farmers that together advocate for regenerative farming. This standard is open source and is currently being piloted by MegaFood’s trusted farm partners. MegaFood encourages the public to understand the standard and welcomes all feedback, thus, supporting its vision of transforming “agri-culture” by empowering communities and revolutionizing food systems. To learn more about MegaFood’s latest standards and requirements, visit megafood.com. 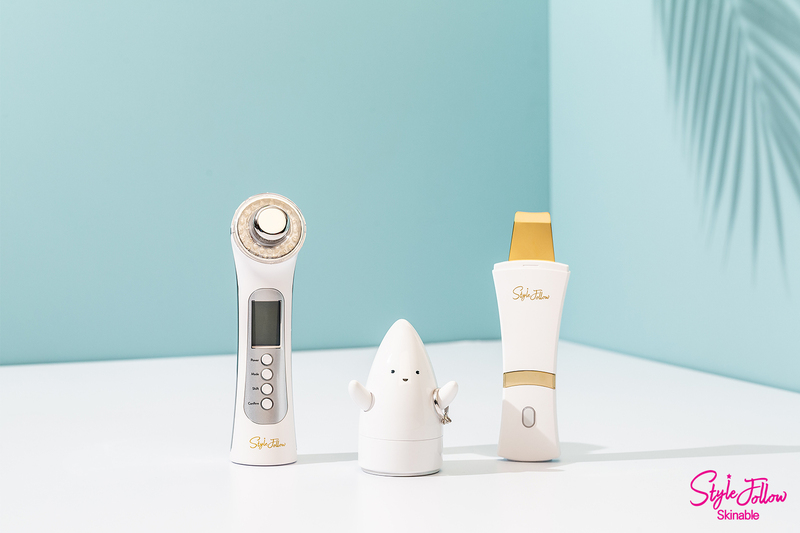 “Style Follow Skinable“, a beauty product created through a partnership between TheHan Co., Ltd. and the well-known, beauty-fashion talk show namesake, “SBS Style Follow”, will be launched in Thailand soon, and new products will be added as well. TheHan Co., Ltd. hopes that this launch will make “Style Follow Skinable” as popular in Thailand as it is in other countries. The K-beauty industry is booming worldwide, and the beauty market in Thailand is expected to reach over 7 trillion won in 2019. There is especially fierce competition among Korean beauty companies in Thailand. In recent years, home beauty products, using a variety of technologies, have gained popularity with their approach to skincare through cosmetics. New products that use galvanic polarity to push currents have attracted a lot of attention from consumers in recent years. The “Style Follow Skinable” galvanic massager uses galvanic ions and a vibration function for everything from peeling to nutrition supply and elasticity care. It is constructed with 24K pure gold blades that are created in a careful three-stage process, making them safe to use on the skin. The face cooler tightens the skin and pores even in hot weather, improving skin elasticity, and reducing the temperature of the skin through cooling therapy. It is readily distinguishable by the outstretched arms of the grips which function as an accessory cradle. The True Solution Ultrasonic LED Massager offers galvanic ions (positive ion-deep cleansing, negative ion-nutrition supply), three LED therapies, 12,000 cycles per minute microwave and ultrasonic (3Mhz) skin massage. In January 2019, South Korea’s Incheon Metropolitan City organized an export exhibition at which “Style Follow Skinable” attracted a great deal of attention from buyers in Thailand. The city’s Incheon TechnoPark and Thailand Trade Office will continue to cooperate in Thailand business.